The English language is changing and according to The Guardian people now refer to their attire for a Black-tie event as a tuxedo rather than a dinner jacket. 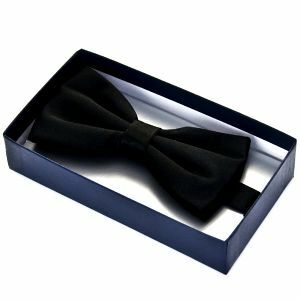 One piece of clothing unlikely to be changed by an influx of US terms is the bow tie. Ties Planet currently have well over 100 bow ties to choose from, so whether you want plain black or something more jazzy, silk or polyester, pre-tied or self-tie, there will be something to fit your requirements. Although bow ties are a hot trend at the moment, it is well worth adding a quality bow tie or two to your wardrobe for future events. After all, style never goes out of fashion even if some words in the English language do.